The Carter-Ryan Gallery is home to the work of Indigenous Visual Artist, Jason Carter. 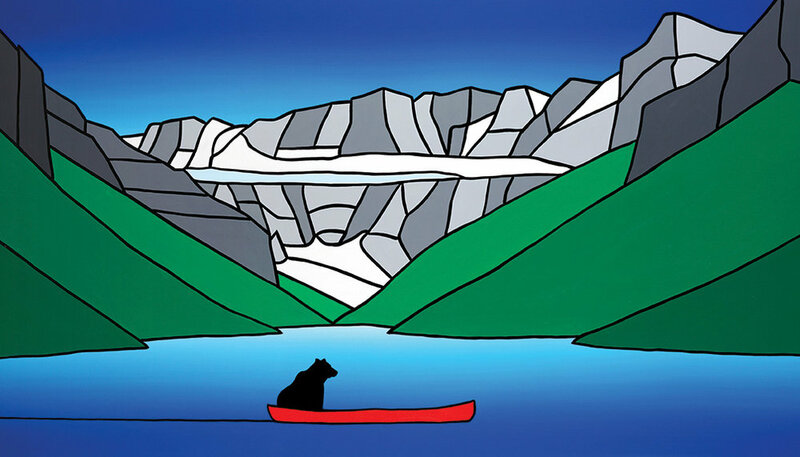 His bright paintings and bold soapstone sculpture have been featured at Canmore's Main Street location since 2012. In 2017, a second location opened in Banff. Visit either location to experience one of Alberta's most acclaimed visual artists. Gallery by day and at night, the Carter-Ryan Gallery in Canmore comes alive with live musical theatre all summer long. Comedy, musical theatre and history coming to life...it's all here surrounded by original art. A truly memorable destination.